Hayfever and allergies are not only a nuisance they can block your nose and breathing pathways making it difficult to breathe and result in snoring. The dirt on hay fever – What is hay fever? Hay fever is an acute inflammation of the nasal passages that usually occurs seasonally. It’s usually caused by pollens or other airborne allergens such as dust mites. 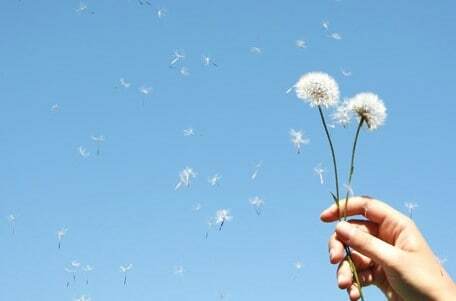 People that suffer from hay fever have had their immune system identify a harmless airborne substance (like pollen) to be harmful. This process is referred to called sensitisation. After sensitisation, when the body is exposed to an allergen, it produces the chemical histamine to fight off the allergen. This results in cold and flu-like symptoms. Does a runny nose always mean hay fever? Hay fever can sometimes be confused with other conditions like the common cold or flu virus which also cause a runny nose. Colds generally develop five to seven days after being exposed to a cold virus, and symptoms include a runny nose and fever. Allergies have no associated fever and generally occur soon after exposure to pollen. Studies suggest that vitamin C supplementation has an antihistamine effect. Vitamin C also helps to support your immune system. Fresh oranges and red capsicum are an excellent source of vitamin C. Chop up and add them to lunchboxes and have some fresh capsicum with dinner. A tried and true combination of herbs used to ease congestion. Horseradish is known as a decongestant and may help to provide relief from a blocked up nose. Garlic has anti-inflammatory properties which can help soothe inflamed nasal passages. It also has an immune boosting effect. Vitamin A is great for maintaining the health of mucous membranes. This can be particularly beneficial in hay fever if there is constant inflammation of the mucous membranes. Snacking on carrots and adding sweet potato to your meals will give you an extra vitamin A boost. Eat a healthy, varied diet including lots of fresh fruits and vegetables and whole grains. A good diet will strengthen your immune system equipping it to deal with hay fever symptom relief. Minimise your exposure to pollens and moulds wherever possible. Place your head over the bowl and inhale the steam. This can help to loosen up the mucus and get you breathing easier.